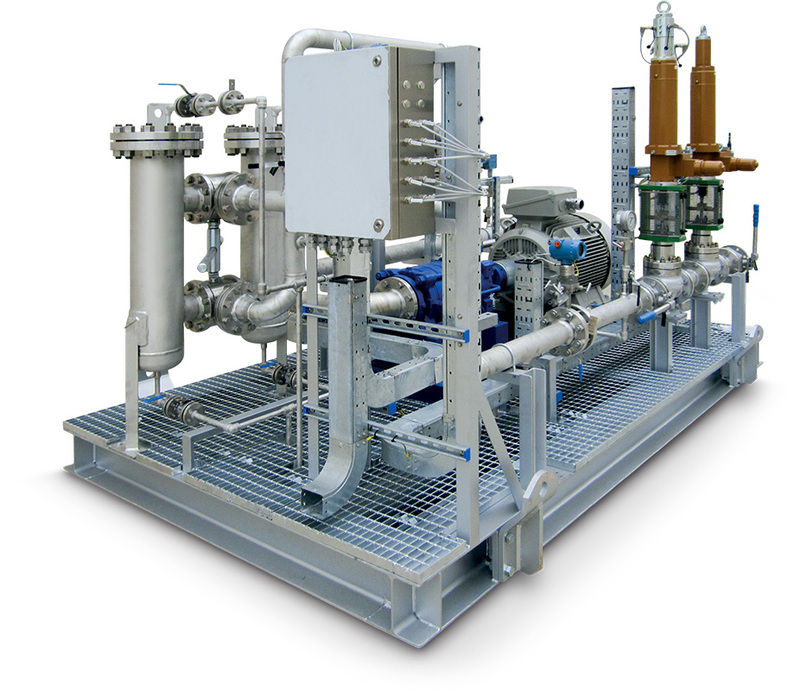 The filtration purpose is to remove liquid and dry gas impurity from the gas stream in order to avoid erosion and loose of performance of the downstream equipment. First step of filtration is the separation of liquid and gross solid particles by means of multi tube (cyclones) separators. In the cyclonic separators the dirty gas enters tangentially, generating a strong centrifugal force which throws dry and liquid entrainments against the wall of the cyclone. The second step of filtration is the separation of mist and fine particles by means of filters separators, based on a three phases separation. The first phase is the removal of largest particle, given by the combined effect of the impingement force of the shell surface and the gravitational effect due to the decrease of the gas velocity. The second phase consists of replaceable and cleanable filter element, having the purpose to remove the smallest solid particles and to coalesce the mist. The ultimate separation of the mist in a vane unit is the final phase. The contaminant is collected either in a separate reservoir connected to the filter or in the same vessel out of the gas flow. Depending from the foreseen quantity of the contaminant, the installation can be either vertical or horizontal. The liquid hydrocarbon filtration is the removal of contaminants from the flow stream using a filter media that retains the solids and let only clean products pass through. The contamination, usually originated from the production process, transport and storage, consists among others of sand, pipe scale and dust. The filtration is essential to avoid any damage and protect the system components further downstream. The adequate degree of filtration is obtained through the use of basket mesh with mesh adequate to the safety operation of downstream equipment. Filtration degree between 20-80 mesh is generally suitable for the service. Different selection of filter, simple or duplex, can be used depending on the flow stream and the requirements, Duplex configuration, even if it is a more complex installation, gets the advance of a proper cleaning of the basket, switching automatically between two unit. Beyond the filtration, it's important to eliminate the presence of air or vapor in order to assure that only liquid phase is flowing through meters and other component. For this purpose, different systems can be used, depending of vapor content: an air eliminator, installed on top of filter or a dedicate air separator vessel, that thanks to tangential effect assure the removal of full vapor content. 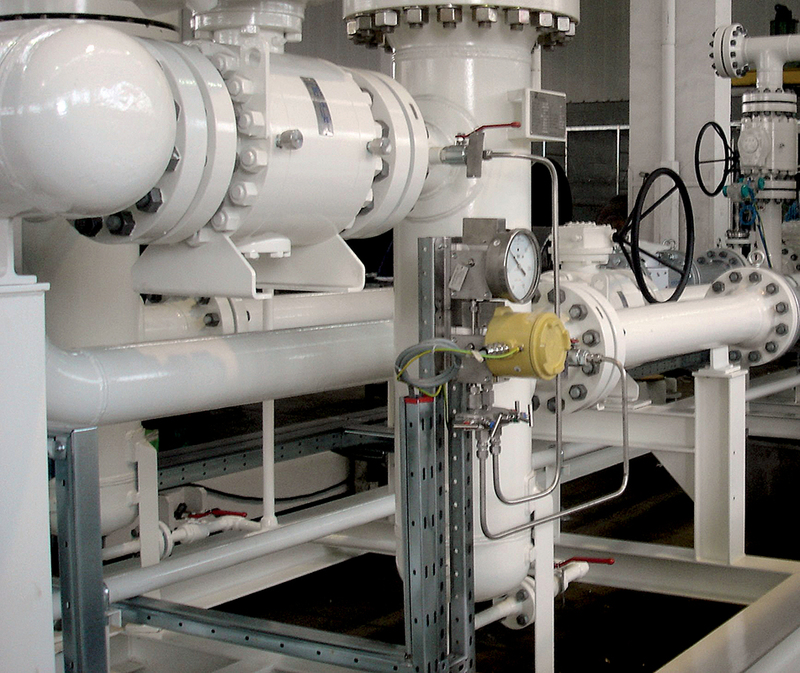 Separators can be grouped into gas/liquid two-phase separator or oil/gas/water three-phase separator. 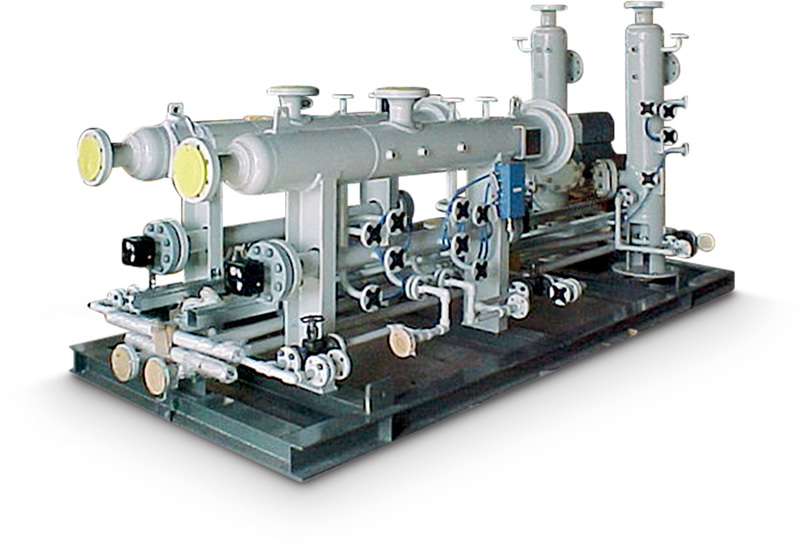 Based on separation function, the oil/gas separators can also classified into primary phase separator, test separator, high-pressure separator, low-pressure separator, deliquilizer, degasser, etc. 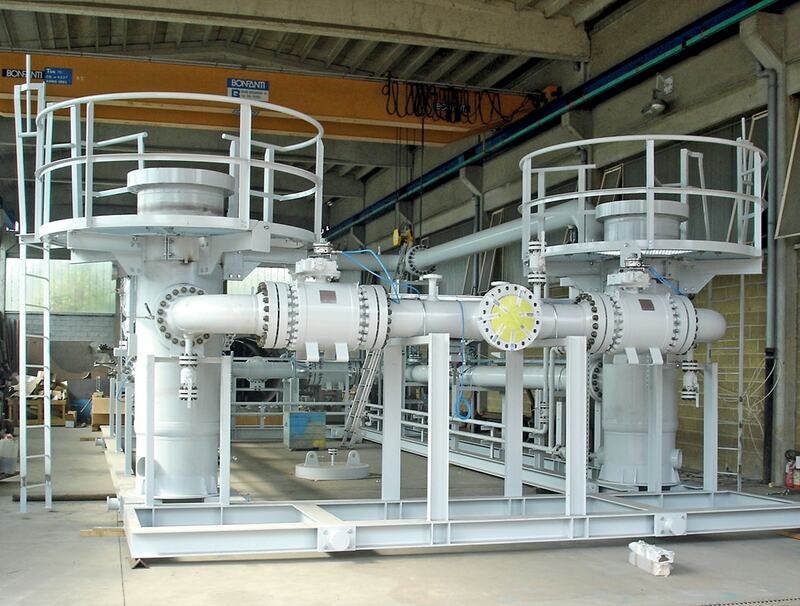 To meet process requirements, the oil/gas separators are normally designed in stages, in which the first stage separator is used for preliminary phase separation, while the second and third stage separator are applied for further treatment of each individual phase (gas, oil and water). 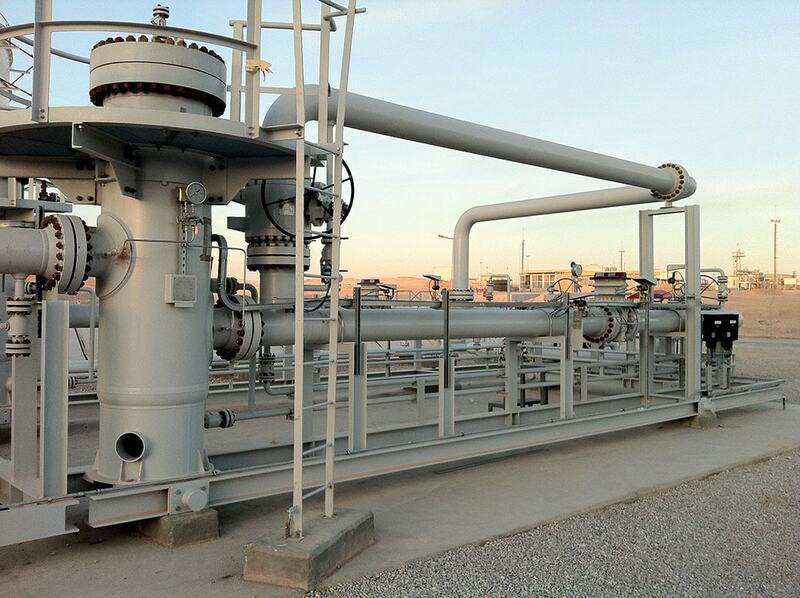 Depending on a specific application, oil/gas separators are also called deliquilizer or degasser. 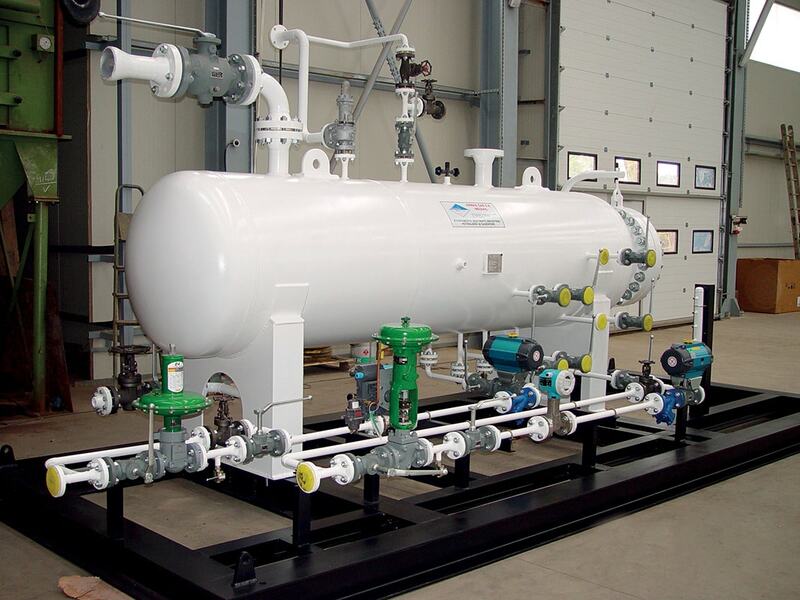 The deliquilizers are used to remove dispersed droplets from a bulk gas stream; the degassers are designed to remove contained gas bubbles from the bulk liquid stream.